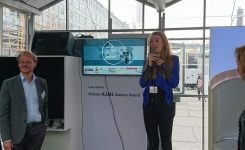 I am super proud to announce that I have won ASML’s mentorship for DOK Tool at the Smart Design to Market pitch event! How suitable that Eindhoven’s internationally known chip machinery specialist will help me develop my communication tool with ‘chips’ 😉 Very excited to collaborate & work towards empowering patients in their health communication. 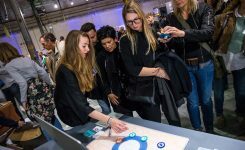 We will present our improved design at the Dutch Design Week 2017! Stay tuned!